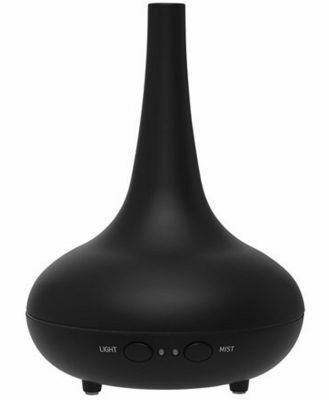 The Aromamist Anise Mist Diffuser combines the good looks of dark-grained wood and pastel lighting with ultrasonic vaporisation technology to produce a sophisticated, soothing ambience and a cool, fine mist of your favourite essential oils. With no heat, there’s no fire risk and no reduction in the therapeutic efficacy of these precious healing oils. You get every possible benefit of aromatherapy – safely and silently, as the ultrasound is well beyond the range of human hearing and there’s no noisy pump. The Aromamist has a BPA-free 300mL reservoir that allows up to 10 hours of continuous operation, with automatic shutoff and options for shorter one, two or three hour sessions. 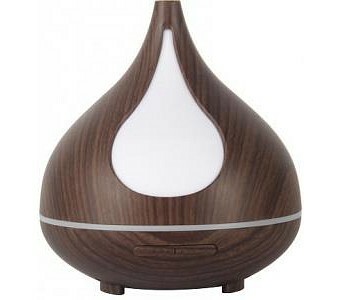 The LED lights may be set to single or multicoloured mode and may be used as pleasant mood lighting even when the Aromamist’s vaporising function is inactive.